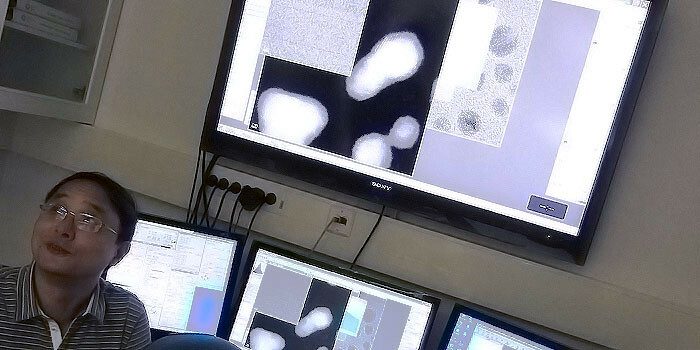 Transmission electron microscopy (TEM, also sometimes conventional transmission electron microscopy or CTEM) is a microscopy technique in which a beam of electrons is transmitted through a specimen to form an image. 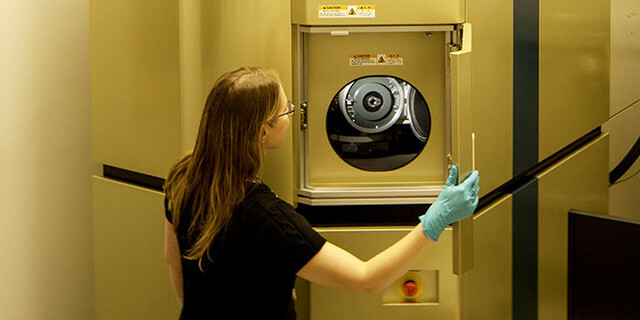 The specimen is most often an ultrathin section less than 100 nm thick or a suspension on a grid. An image is formed from the interaction of the electrons with the sample as the beam is transmitted through the specimen. 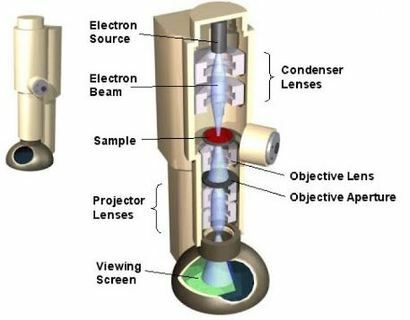 The image is then magnified and focused onto an imaging device, such as a fluorescent screen, a layer of photographic film, or a sensor such as a charge-coupled device. Cryo: Liquid nitrogen cooled cryogenic sample holder. Do reservations require approvals from administrators? The JEM-2200FS combines a 200 kV field emission gun (FEG) and in in-column energy filter (Omega Filter) to produce a high-end, optimally configured TEM for energy filtered imaging. Available 24/7 for all users. 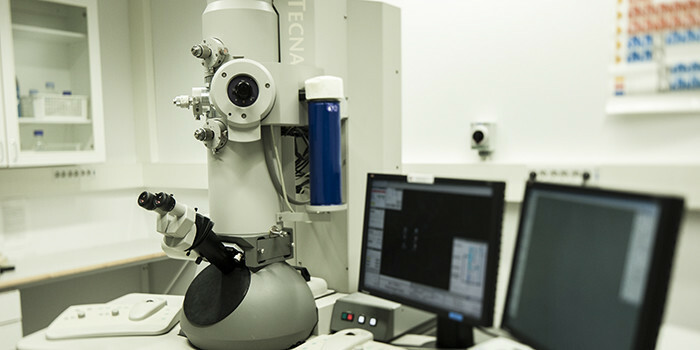 The JEOL JEM-2800 is a high throughput nano-analysis TEM with automated functions. This versatile TEM features high resolution imaging in TEM, STEM, and SE modes; ultrasensitive elemental mapping with a large angle Energy Dispersive Spectrometer (EDS for chemical analysis; TEM and STEM tomography; and in situ observation of samples. The instrument is operated without a fluorescent screen and the operator sits in a bright room. The instrument is available for outside users, such as other departments, universities, VTT, and industry. It is also possible to buy imaging service. Use requires approval from Aalto Research Ethics Committee? Ideally suited for imaging low contrast, frozen biological samples, the JEM-3200FSC field emission cryo-TEM is equipped with an in-column Omega-type energy filter spectrometer. Cryo: Liquid helium (or nitrogen) cooled cryogenic stage. The instrument is available for outside users, such as other departments, universities, VTT, and industry. It is also possible to buy imaging service. Contact Prof. Janne Ruokolainen for details. 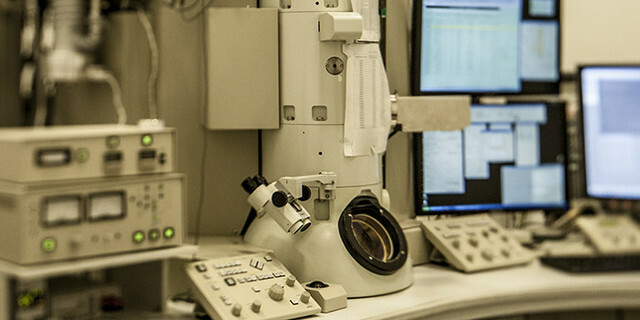 A versatile 200 kV TEM with STEM and elemental mapping capabilities. Imaging service is available for purchase. Contact Prof. Janne Ruokolainen for details. This resources exists only in the minds of people who see this text. This is a test resource, classified as a transmission electron microscope. This is a test resource for testing bookings and other booking system features. This imaginary device can be reserved without any specific training or permissions.